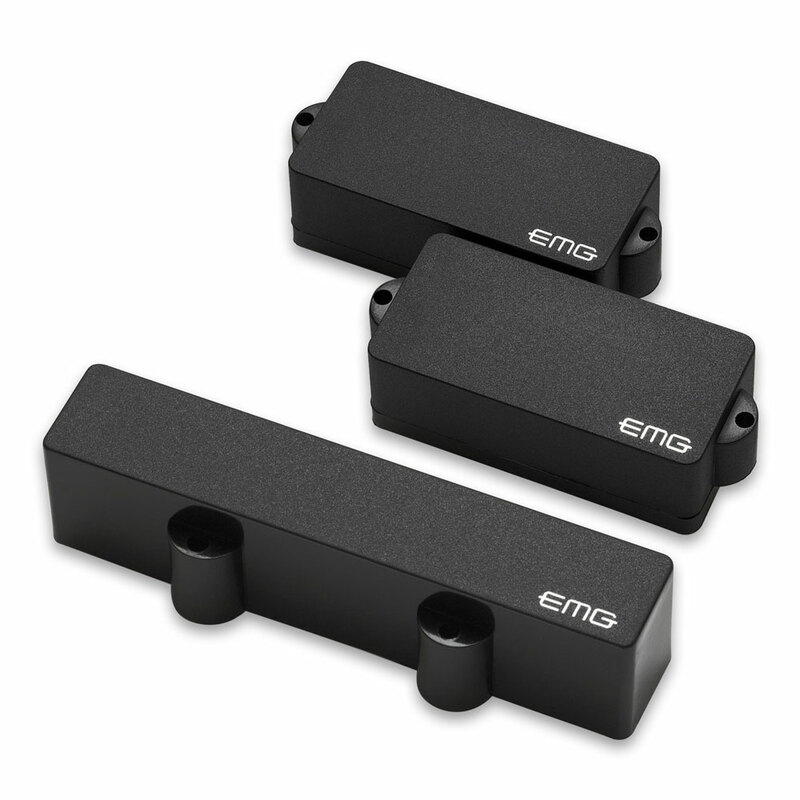 The EMG PJ Bass Pickup Set provides bass players flexibility with a wide range of tonal combinations. The P bass pickups add warmth and incredible low end punch, while the Jazz bridge pickup provides a tight midrange with dynamic high end response for a well defined attack. Used separately or in combination, they offer endless bass tone options, accommodating contemporary and traditional playing styles. The result are low noise, dependable pickups with tones ranging from tight slap funk, rock, to smooth Motown grooves. The EMG PJ set features their solderless system for quick and easy installation, it comes with everything you need including two 25k volume pots and a 25k tone pot, stereo output jack, battery connector and all required connector wires.